Melissa Nunez, a journalism student at Southern Connecticut State University, reported this story as part of Journalism Capstone coursework on World War I. 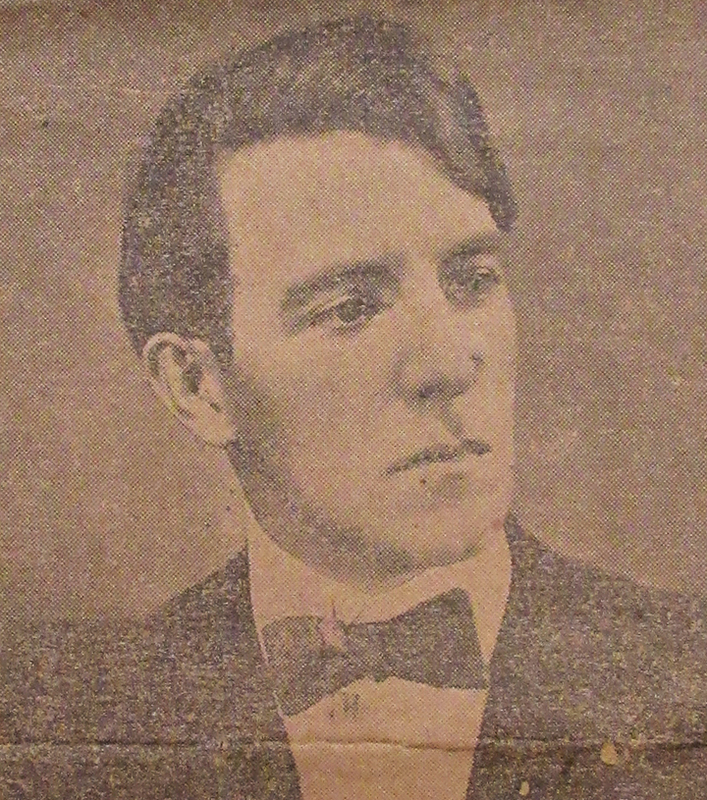 A portrait of Guy Hedlund from 1918. Photo credit, the Connecticut State Library. Filmmaker and Portland, Connecticut native Guy Hedlund could not serve in the First World War, yet he wondered what else he could do to contribute to the war effort. That contribution came in the form of moving images, according to an autobiography Hedlund wrote in March 1923. Hedlund said he wanted nothing more than “to take part in one of the greatest adventures of the world’s history that was being staged in [his] backyard,” and he found preserving memories of the conflict to be rewarding, according to his autobiography. While Hedlund’s films are currently not on file at the Connecticut State Library, articles and other resources relating to his films helped describe their context. After his war film proposal was rejected by the State Council of Defense for funding, Hedlund said he found financial support through donations from newspaper editors throughout Connecticut, by mortgaging his farm and taking on a partner, Charles Northam, and acquiring about $1,600. Initially “Connecticut at War” made little revenue, prompting Northam to sell his interest to Bridgeport resident, William Sheehan, who showed the films to a larger audience in Bridgeport and again in New Haven to an audience of 2,500, according to Hedlund’s autobiography. Hedlund went onto direct and narrate “The Hun at our Doors,” a prohibition film pushing for alcohol reform during World War I. While activism, such as prohibition, started before the Great War, those efforts were halted to focus on the conflict, said Christine Pittsley, Connecticut State Library’s Remembering World War I project director. Although, Hedlund’s plea for prohibition related directly to the war, Pittsley added, arguing soldiers could not efficiently fight if they were drunk. Later Hedlund went onto direct “Making of an American,” a film encouraging immigrants to take Americanization classes. Despite the film being produced after the Great War in 1920, its concept came as a direct result of the war, said Pittsley. Hedlund said fame was not his intent in creating these films—rather they were a symbol of his duty to his country, according to his autobiography. To see more about the life and career of Guy Hedlund, please clink the link here. To see a brief clip of “Making of an American,” please click the link here.